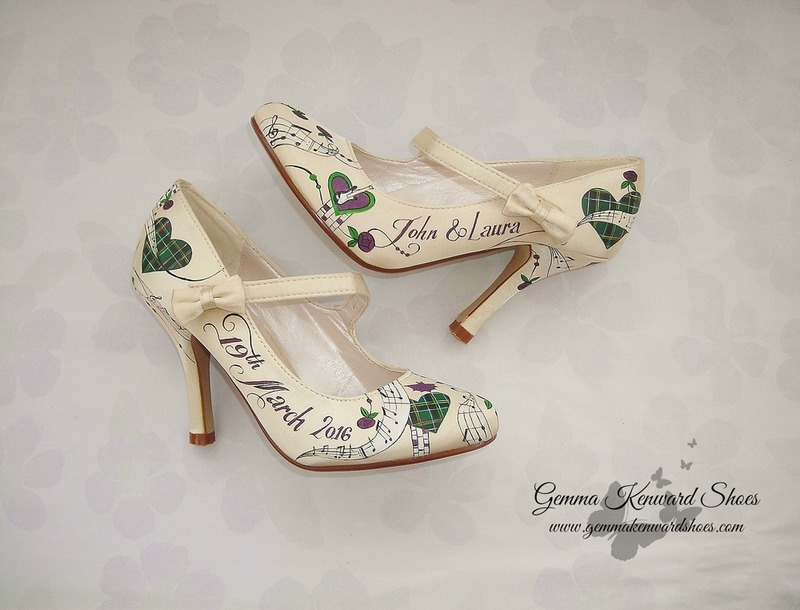 Personalised Mary Jane Wedding Shoes with dog paw prints, clovers and books as well as Chip from the Disney film Beauty and the Beast. 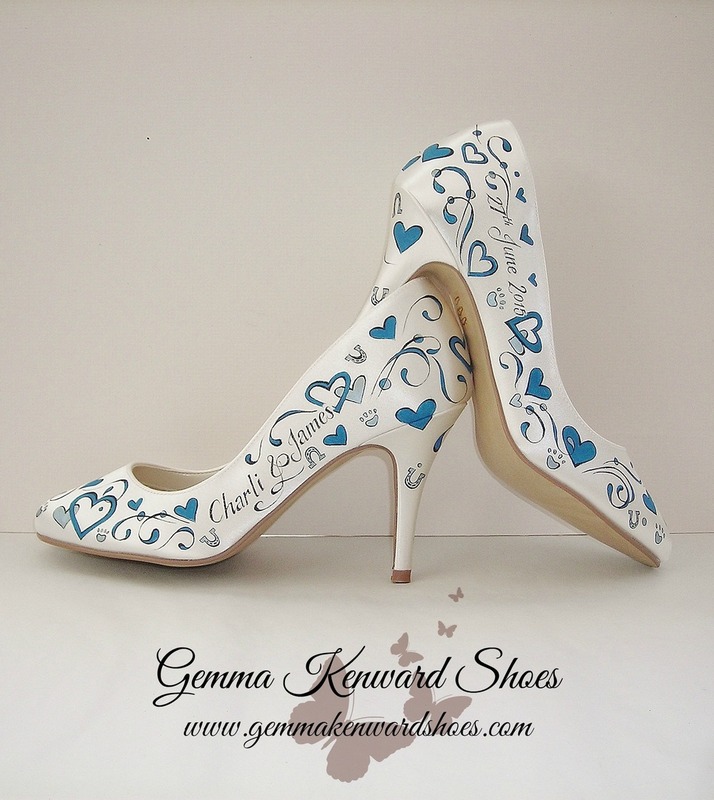 Wedding shoes hand painted with Cinderella, Mickey Mouse ears, Tinkerbell and even Cinderellas pumpkin carriage! 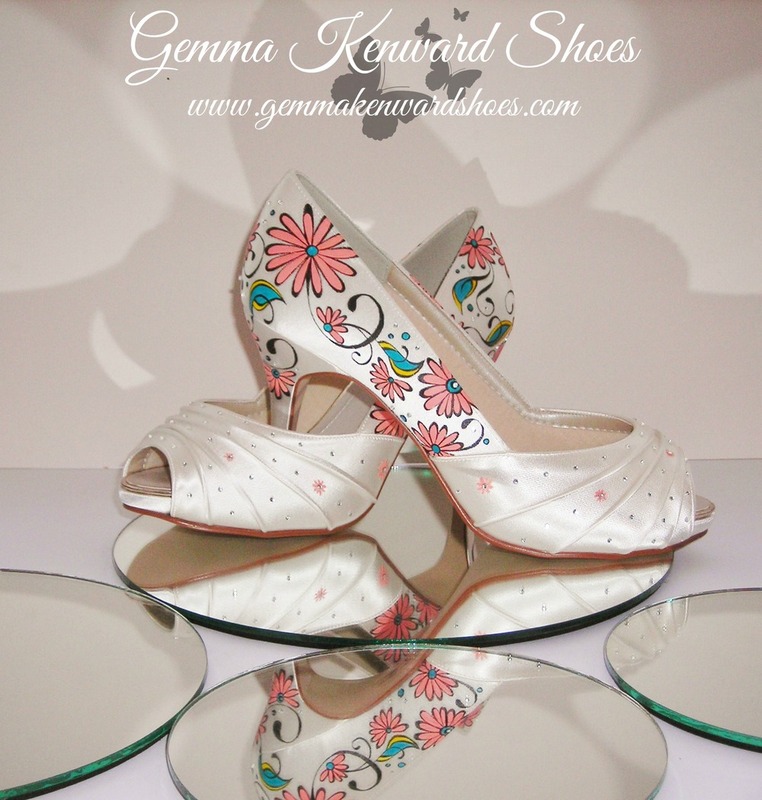 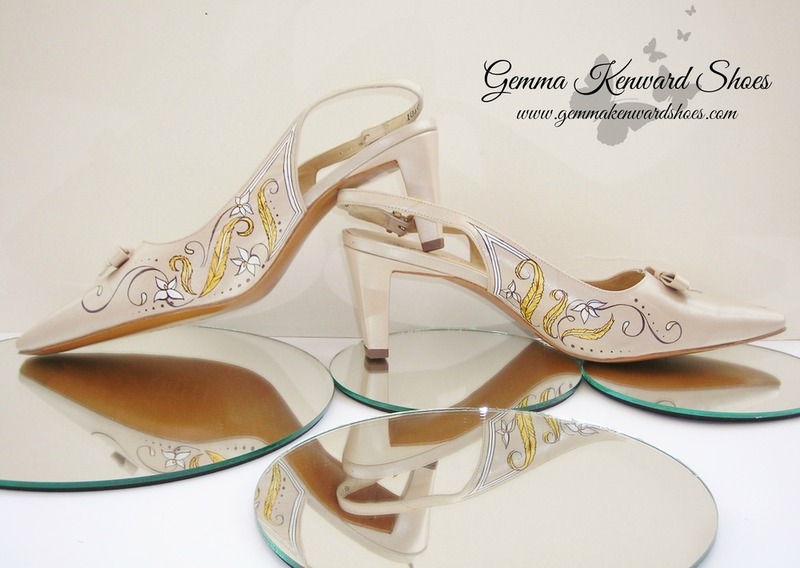 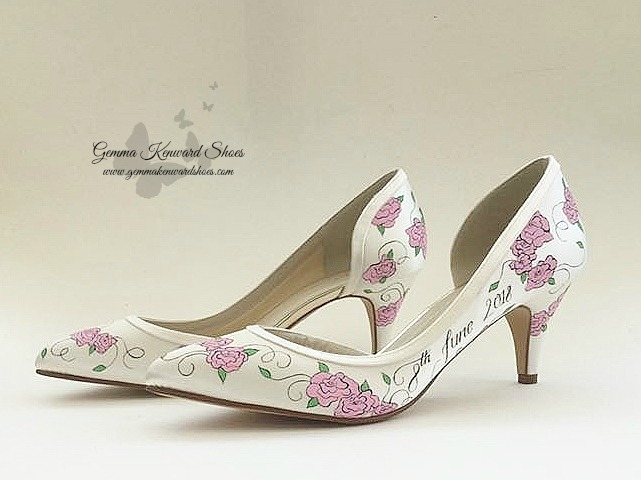 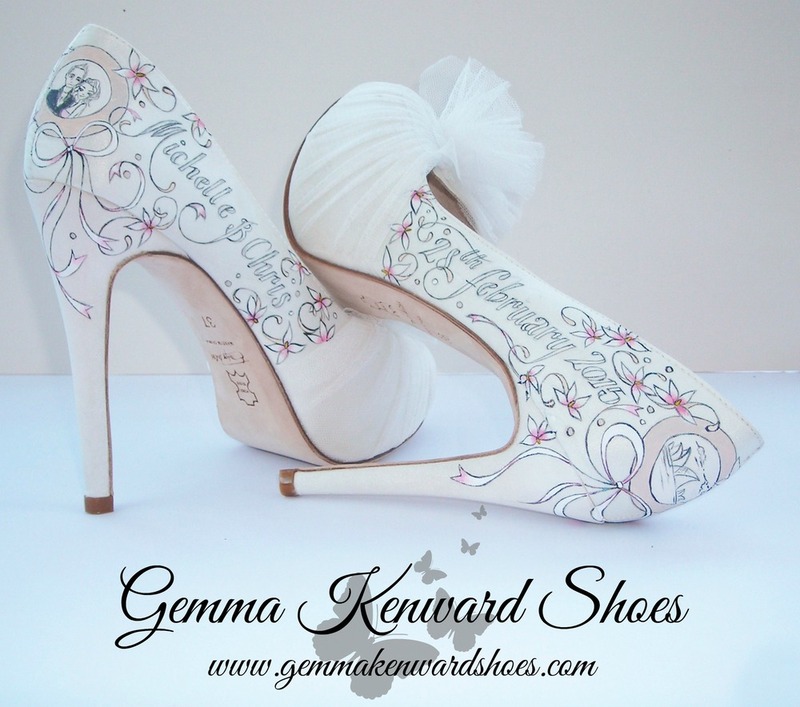 Our hand painted bridal and occasion shoes are available in an array of colours, design and styles. 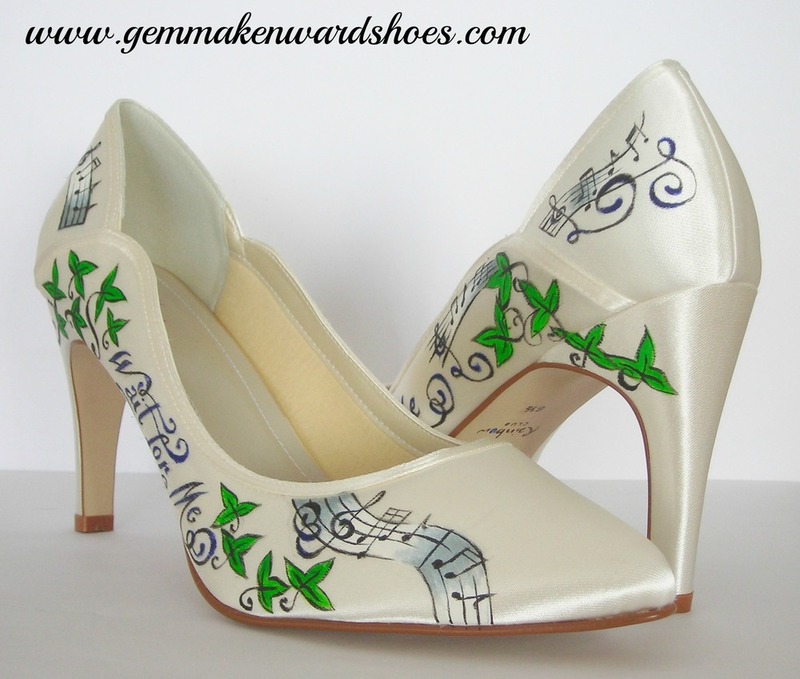 Each commission is inspired by you! 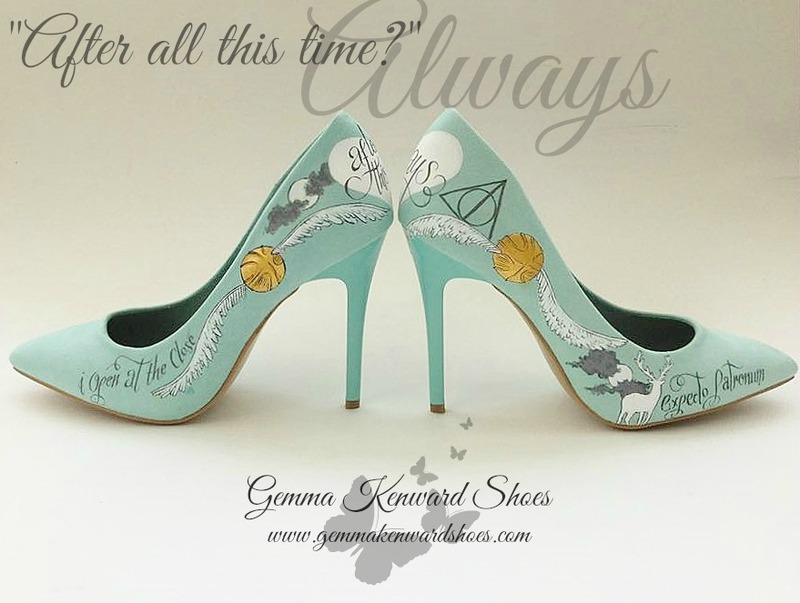 The shoes can be personalized with dates, names, places - anything personal to you that can be treasured forever. 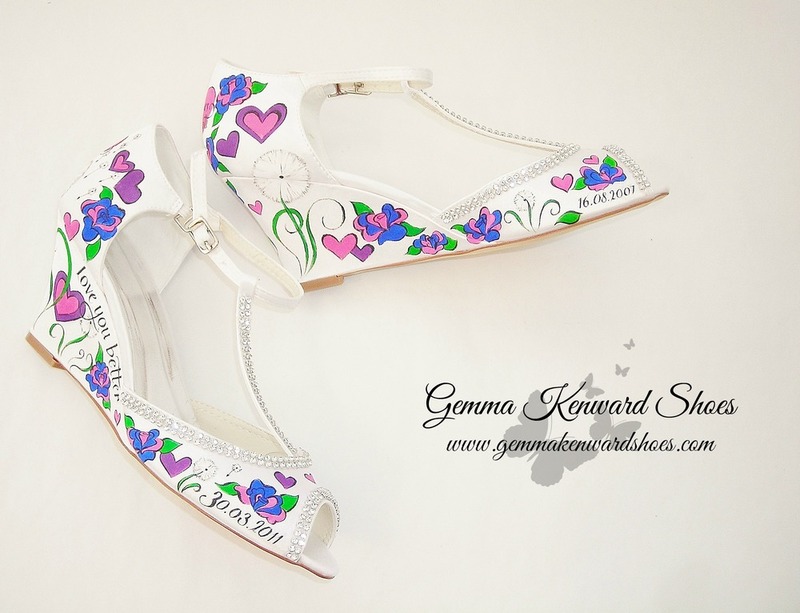 This gallery celebrates all of the custom painted wedding shoes we have had the pleasure of painting. 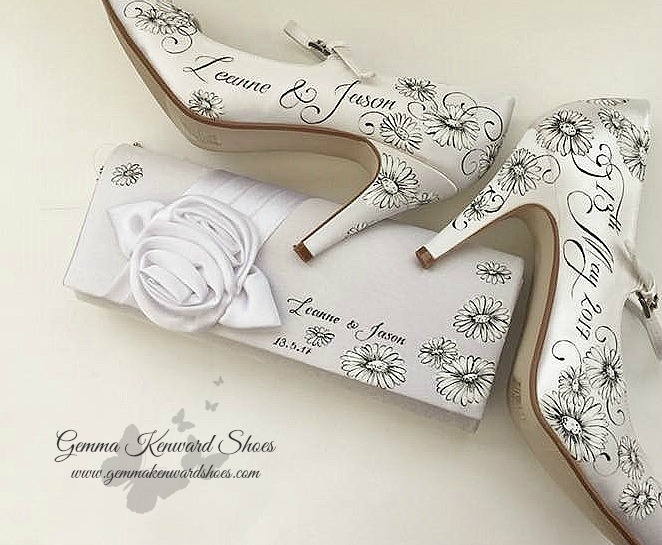 As you can see we have customized a lot of shoes, for a lot of brides and pride ourselves on our excellent customer service and welcome all sorts of shoes, ideas and requests. 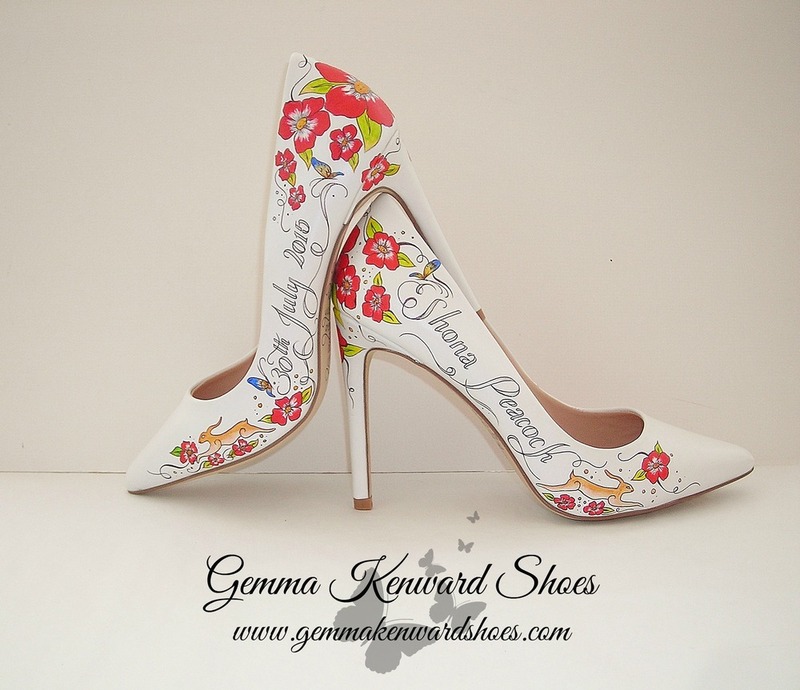 What sets us apart from other Hand Painted Shoe companies? 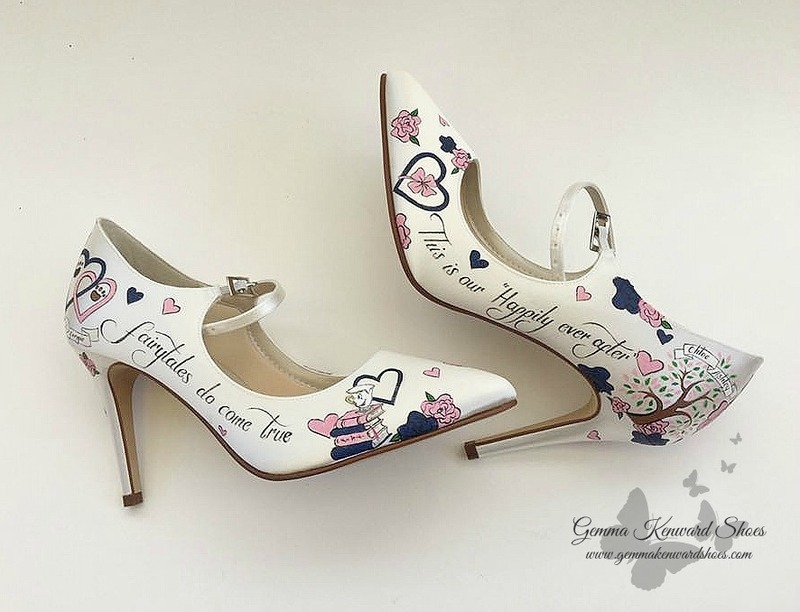 Firstly Gemma is a well known, award winning artist who was already established within the art and design industry before launching her hand painted shoe service. 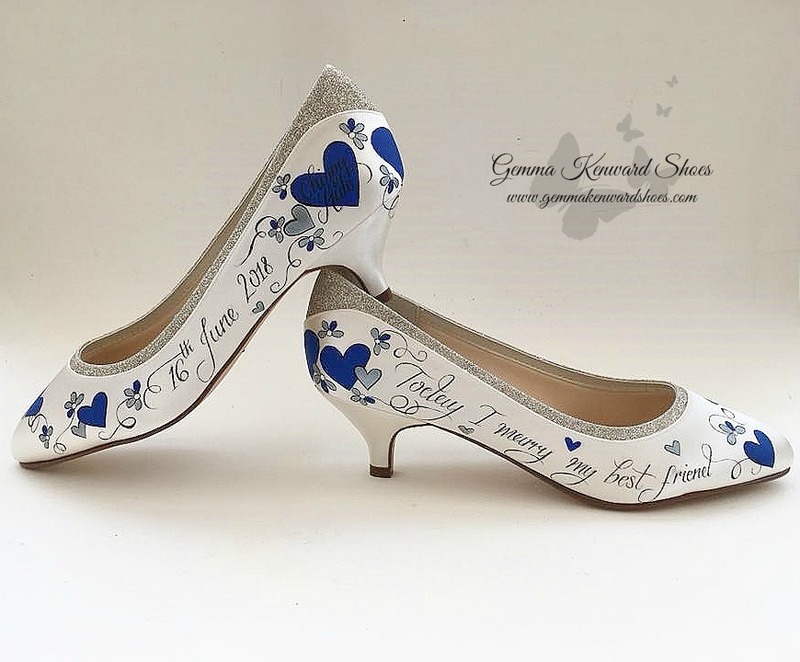 We are the leading shoes designer for Personalized wedding shoes, you can be assured we'll look after you and your shoes so you can treasure them as a keepsake for years to come.